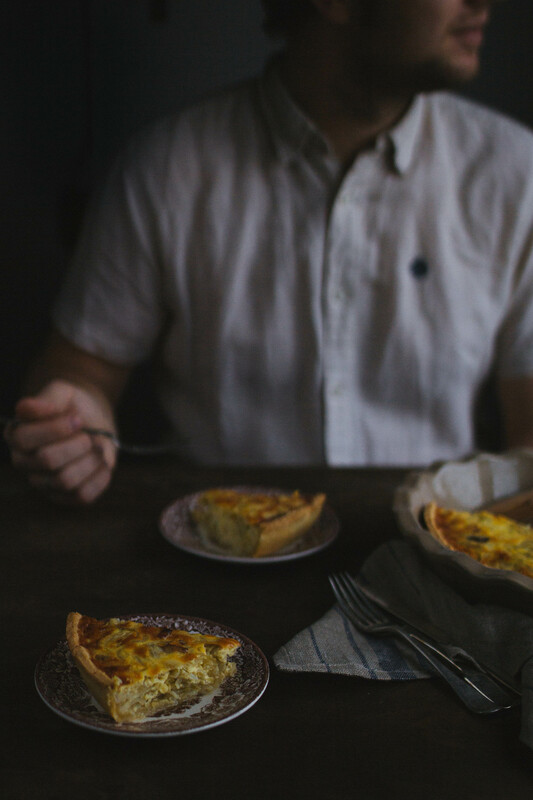 Today I want to share a recipe of interesting french pie – Quiche Lorraine. This is a traditional french pastry. It preparing from the simplest and chip ingredients. I think this is one of those pies, in which you can fall in love or be disappointed. 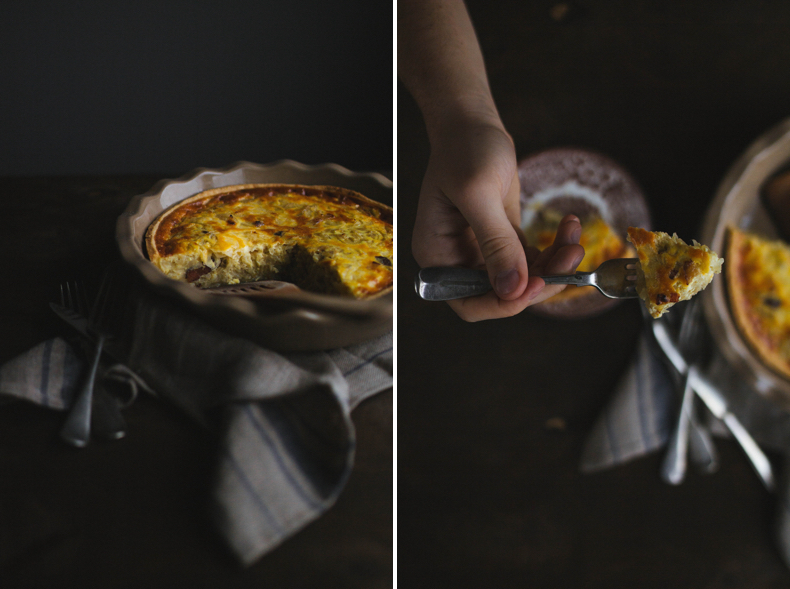 I fell in love with quiche lorraine and cook it sometimes. 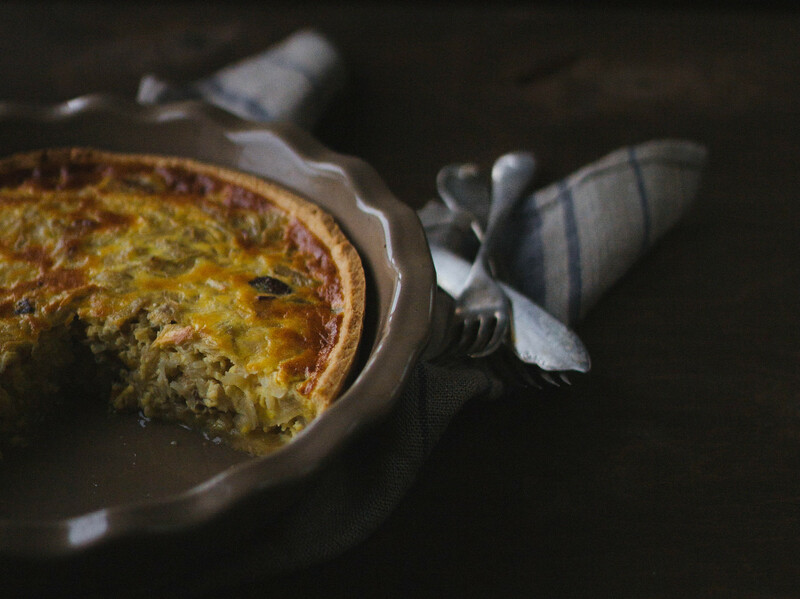 The main ingredient in this pie is stewed onions! It’s taste like stewed cabbage, but softer. You can add or no the cheese, as your like. But the main rule – always cut the onion very thin, because in this case the filling was perfectly soft and creamy. Anyway, try it and you will be surprised what a wonderful are onions in the baking! At first, prepare the dough. Cut the cold butter into small cubes (I usually use grater for this), rub it with your fingers with the flour in a large bowl very quickly. Add salt, egg yolk and ice water. 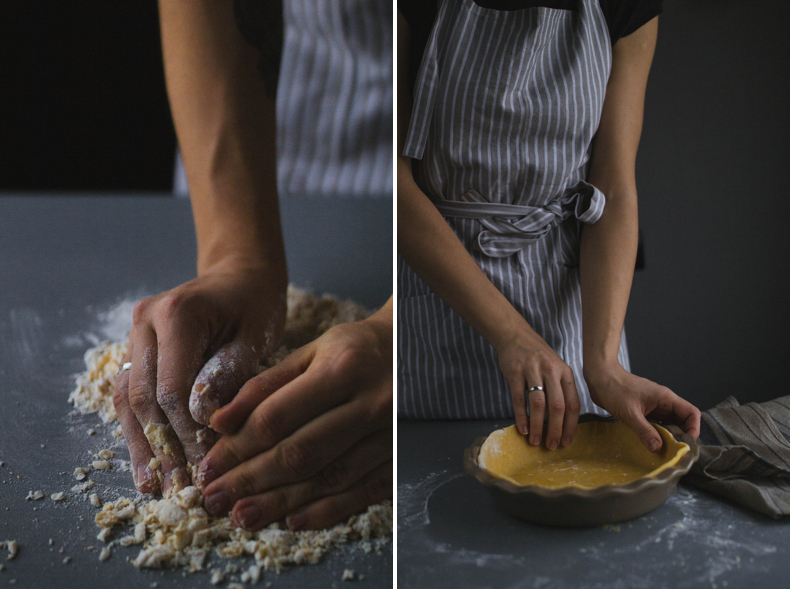 Knead the soft dough. The ingredients for dough (butter and water) must be very cold. And you must knead the dough very quiсkly, because if the butter begins to melt, the dough won’t be the desired consistency. Place the dough between two sheets of parchment paper and roll out. 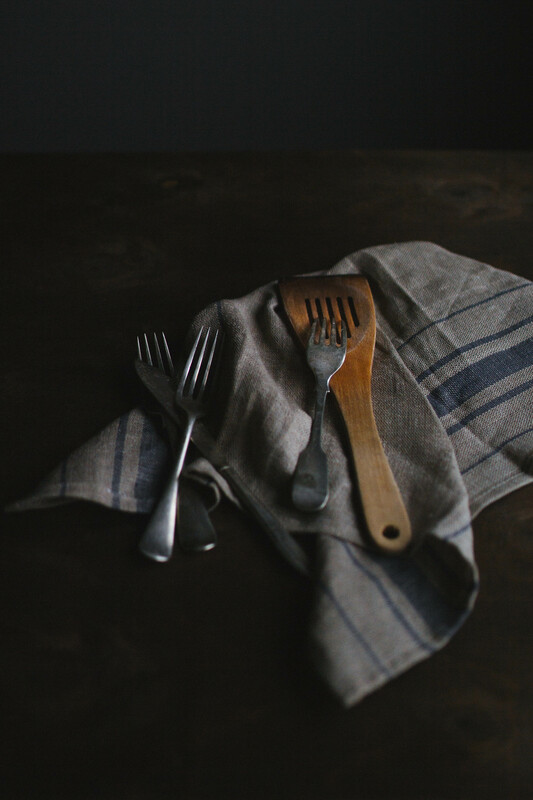 If the paper slides on the table, sprinkle a little flour under it, it will be easier. Cut a circle from dough (24 cm) and gently place it to the baking pan. This dough is fat enough, so you may not grease the pan, just sprinkle with flour. Put the Ian with dough into three fridge while the filling is cooked. I usually prepare this dough in the evening and leave it overnight. So at morning I just do the filling and put my pie in the oven. While I make my morning coffee, the pie is ready. Clear onions from peel and cut them in a very thin slices (so thin as you can do it!). 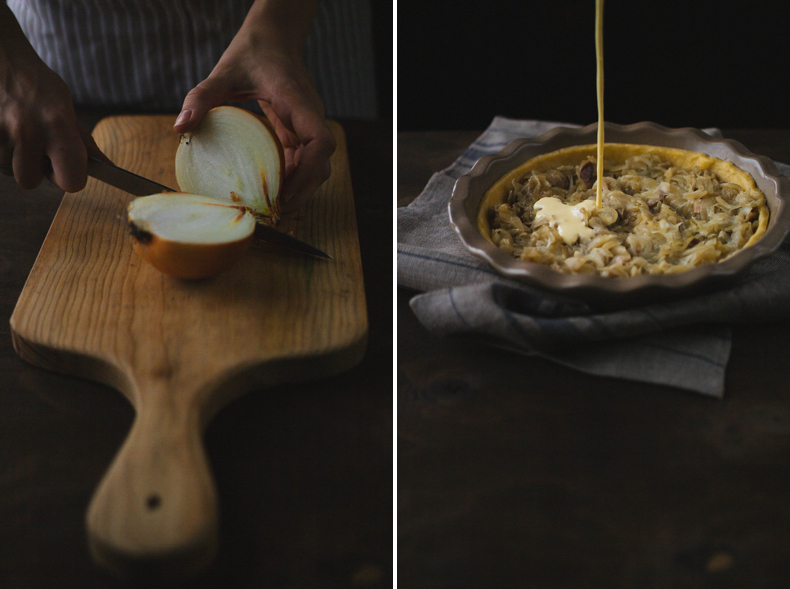 As the thinner will be sliced onions, so the sweeter your pie will be, it’s important, just try. In a frying pan with a thick bottom heat up a little olive oil. Cut the bacon into small pieces and gently melt it up to 1 minute. Add sliced onions and cook them over medium heat until the liquid will evaporate and the onions will be soft and lightly – golden. Your filling should be reduced in 2 times. It takes about 10-15 minutes. Add salt and pepper to your taste. Take out the pan with dough from the fridge. Pierce the dough using a fork in the several places. Set the onions mix over dough. Beat eggs with cream, add the finely grated cheese and gently pour the mixture on top of the onions mix. Heat oven to 200 degrees. Bake the pie for about 30 minutes, until the dough will be light brown and the filling starts to gold. 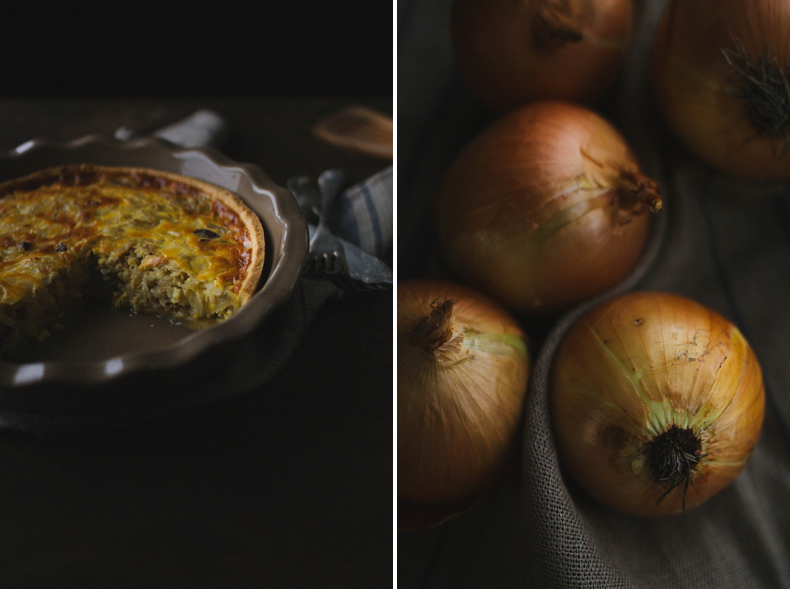 This quiche can be served as a warm or cold. Здравствуйте! А что здесь имеется ввиду под cream? Сливки или сметана? И если сливки, то какой жирности?